DK Windows & Doors offer a range of aluminium windows for your home. Our most popular types are CS 77 Window, Masterline 8 Window and SL38 Window. 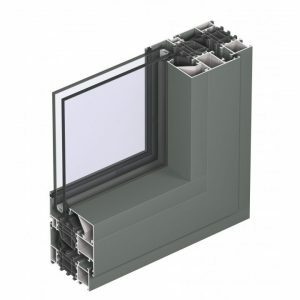 Aluminium windows offer great insulation, minimum maintenance and improved security. Some of our windows also combine aesthetic design and energy efficiency such as the SL38 Window. Check our other windows too! We offer a wide range of uPVC windows, aluclad windows and timber windows. 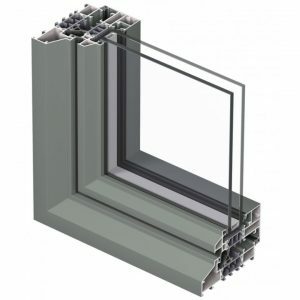 MasterLine 8 is a unique window system that combines countless design opportunities with first in class performance in terms of thermal insulation, air-and water-tightness, and production speed. The system offers a wide design range and ultimate performance regarding thermal insulation and air- and water tightness. This new generation of innovative window solutions mirrors the current architectural trend towards maximising daylight while offering ultimate insulation levels. MasterLine 8 features 3 different levels of insulation for high insulated, low energy and even passive houses. These different levels of insulation are achieved by the integration of new and clever materials. 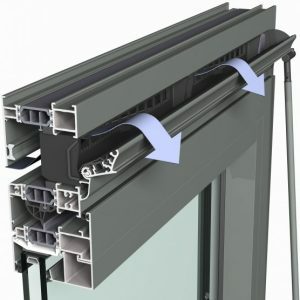 The unique concept makes it possible to combine an extensive range of window opening types, design variants, and different levels of thermal insulation. The design variants, each with their own distinct look and feel, make MasterLine 8 suitable for any architectural style. The system’s performance regarding acoustics, water- and air tightness, but also for specific applications like Bullet – and Fire Resistance, meets the most severe European standards. Moreover, CS 77 windows are available in different burglar resistance levels (class 2 & 3) making it an extremely secure system. To match the different building types, the system is available in a variety of aesthetic styles: Functional, Renaissance and Hidden Vent. Slim Line 38 is a highly insulated system for inward and outward opening windows and doors, which combines elegance and comfort, with a unique design. This special slender steel look is the perfect solution for modern architecture and renovation of steel-framed windows, respecting the original design but offering a thermally improved solution.